"Providing excellent patient care is the main priority here at Whitehall Pharmacy." Rikin opened Whitehall Pharmacy in February 2014. 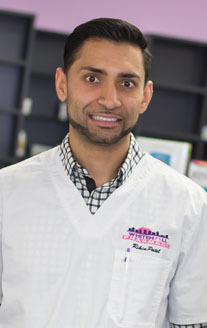 He is an active member of Pennsylvania Pharmacists Association, a Licensed Immunization Administrator, and is certified in Diabetes Care and Medication Therapy Management. Rikin strongly believes in giving back to his community, and provides free health classes on various disease states. Some examples include Diabetes, Hypertension, Depression and Hyperdyslipidemia. Rikin’s mission is to provide healthcare at an affordable price combined with the best customer service he and staff can offer.